Transport for London (TfL) plans to place city travelling restrictions on larger lorries have been met with concern by the Freight Transport Association (FTA). TfL proposals – outlined in their Road Safety Action Plan – could see bigger HGVs banned from certain parts of the city or at certain parts of the day. Increasing the number of 20mph zones is also proposed and – although the FTA say they strongly support such commitment to road safety – they remain concerned. The FTA say they are worried about the inclusion of the Transport for London Route Network (TLRN), which comprises some of London’s busiest and most important roads. They also believe 20mph zones should be targeted only in appropriate locations – such as outside schools during term-time and residential areas. Natalie Chapman, FTA’s Head of Policy for London, said: “Restricting the size of lorries will ultimately lead to more vehicles on London’s roads – it would take 13 vans to carry the same amount of goods as a 26 tonne lorry. 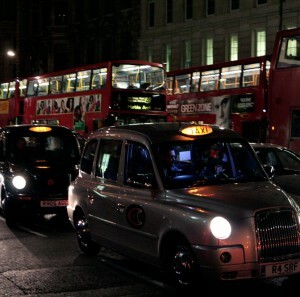 “The cost to businesses operating in London would be considerable as the price of getting goods delivered would go up. “The safety and environmental implications of putting more vehicles on London’s roads also do not seem to have been considered. “The logistics industry has taken huge steps over the last few years to make vehicles safer and to improve drivers’ road safety skills. “Many of the measures in the report will help support the logistics industry’s own efforts to make London’s roads safer. Image courtesy of nastia, with thanks.